Is your instinct to say “yes” whenever you’re asked to volunteer at your child’s school, help a friend or relative, serve on a church committee, etc, etc? There are so many messages today that help us “deprogram” from automatically saying yes, because it’s so easy to overextend our capabilities and our time. So, as a result, is it now your instinct to say “no” to everything? Don’t get me wrong; there are so many wonderful causes, opportunities, people in need, ways to help your children’s schools/sports teams/etc, but it feels good to say “no” without a guilty conscious, and be selective about what we’re saying “yes” to, doesn’t it? Well, I recently read a book that turned my whole way of thinking upside-down! 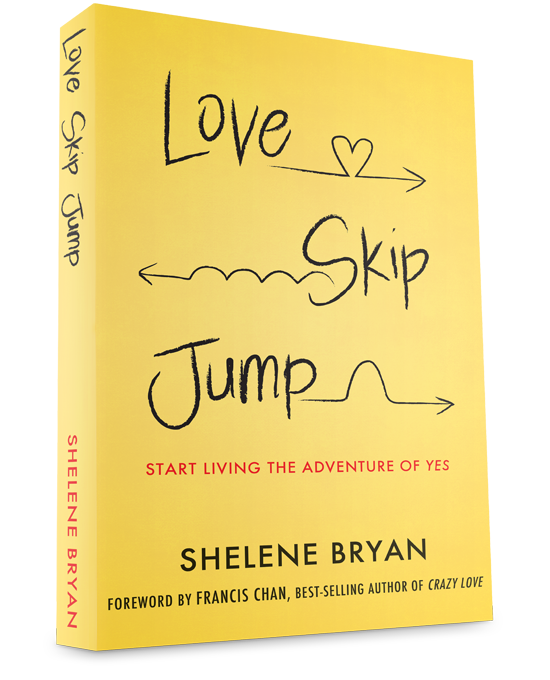 Love Skip Jump: Start Living the Adventure of Saying Yes by Shelene Bryan is an inspiring book that challenges us to say “yes” more often. How many times do you hear that little inner voice, putting ideas into your head? Is it really your thoughts… or is it God speaking to you? 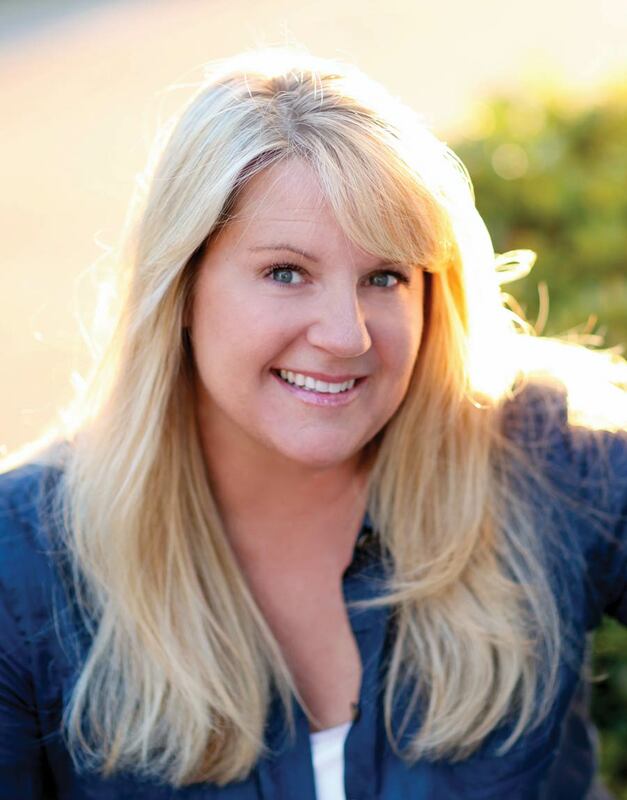 Shelene Bryan had a life-changing thought—to go to Africa and actually meet a child that her family was sponsoring by sending money for food and other vital necessities. What an incredible first leap of faith, that set countless positive results into motion! It’s a three-step process that she describes as starting with love—the love that God has for us, and a relationship with God. It’s the foundation of our lives as Christians. The second step, “skip,” refers to giving up, or skipping something, for the sake of someone else. This illustrates God’s love, but more than that, it’s an attitude and lifestyle of giving. And skipping comfort. 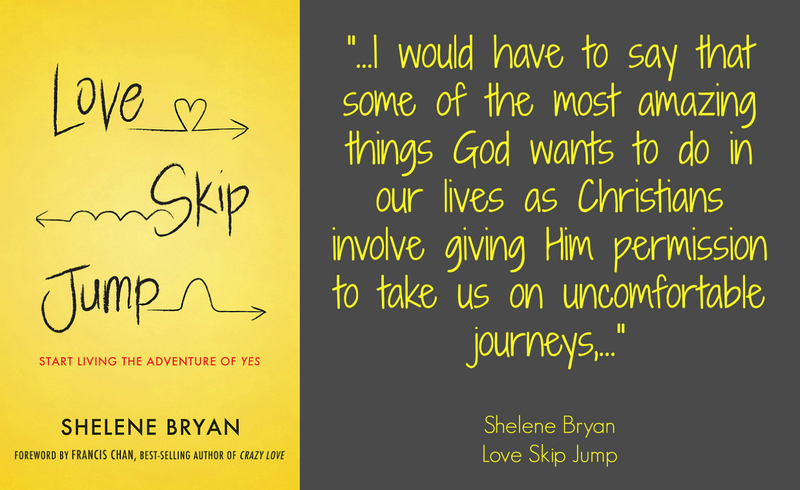 The third step, “jump,” means saying yes to God, and using your God-given talents to affect others. Jumping is an action. She identifies lots of “things” that hold us back from saying yes: our job, spouse, relationships, addiction, success—or the desire to have others perceive us as successful, our house, car, luxury items, or even the praise we like to receive from others. But Shelene especially felt a calling to help children and families in need. Shelene writes about additional experiences she had, saying “yes” to ideas that popped into her head. Prior to the Christmas season one year, she contacted her friend Rachel, a neonatal nurse, and asked if she knew of a family that needed help during the holidays. As a result, the entire Bryan family bought Christmas gifts for a family that would be spending Christmas day with their baby at the hospital. In fact, they used the money that they would have used on their own gifts and shopped together. The Bryan kids still received stockings with little gifts, plus gifts from other family members, but Shelene writes about how exciting it was to watch her own children selflessly “skip” their gifts in order to help others. The icing on the cake? The Bryan family piled into their car, loaded up their surprise gifts, and visited the family, shocking them with their thoughtfulness on Christmas morning. They visited with all the other children hospitalized on Christmas morning, as well, singing Christmas carols in the hospital. How many of us would have the courage to do something like this? One example of a ripple: one of the neonatal nurses was moved by Shelene’s family’s visit and asked Rachel why the family would do that for someone they didn’t even know. Rachel told the fellow nurse about Shelene’s visit to Africa—to Uganda—and coincidentally the nurse was of Ugandan heritage. She had never been to Uganda but had always wanted to go. Rachel told her that Shelene planned a return trip to Uganda soon and the woman was compelled to join her on the next trip. As a result, the hospital also donated medicine… another ripple. Lord, help me see that my real worth is based on who I am in Your eyes, and not on my worldly successes. Help me see those who are hurting so I can show them the unconditional love You have shown me. Give me the boldness to share Your love and truth with those who come across my path. Amen. Lord, allow me to know You well enough so that I can recognize Your whisper. Give me the strength of mind to hide Your Word in my heart so I can match Your Word against the voices of my culture. Give me the ability to be still and reflect on who You are and what You have done and what You want to do through me. Amen.